UPPER DOLPO TREK WITH SANGDA LA PASS - Panorama Trekking Pvt. Ltd.
Upper Dolpo Trek, situated in the mid-western part of the country between the Dhaulagiri mountain range and the Tibetan plateau is one of the most thrilling and challenging treks to the remote and isolated areas of Nepal. The Upper Dolpo Trek Traverse Sangda-La Pass is a journey to pure Tibetan region that takes through the undiscovered route in the mountain territory from the foothills of the massive Himalayas to several high passes and remote villages, connecting the desserts of Upper Dolpo with the beautiful Kali Gandaki valley in Mustang. The 32-day amazing journey to Upper Dolpo begins with your arrival at Tribhuvan International Airport in Kathmandu. After a short stay at Kathmandu, the trip to Upper Dolpo continues with an amazing scenic flight above the hills and massive Himalayan ranges to Jhupal, which is also the starting point of the trekking journey, via Nepalgunj. 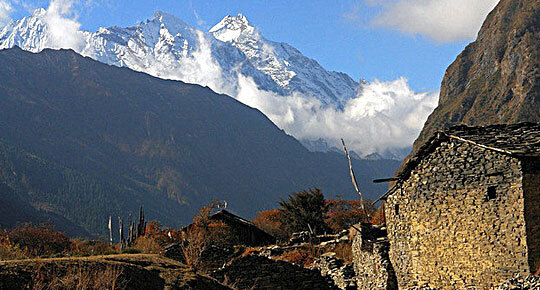 The trekking route takes trekkers along lush tropical forests, beautiful valleys, and different traditional settlements. The route to Upper Dolpo also passes through Lower Dolpo. Moving alongside Suligad Gorge, you come across the beautiful “Shey Phoksundo Lake”, the deepest lake of Nepal with the depth of 145m. 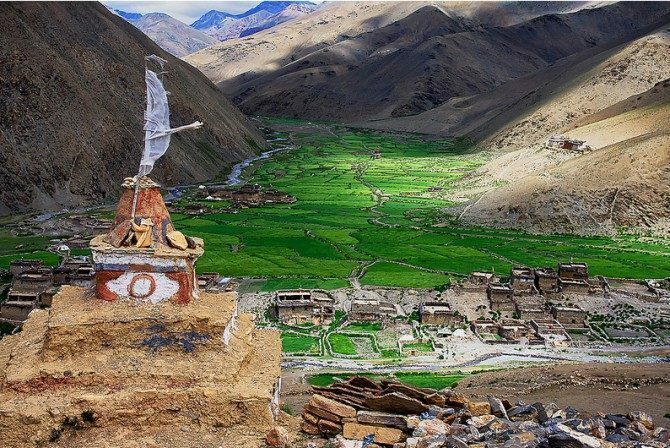 You also trek past the beautiful remote village of Ringmo and cross the first pass Nagdalo La (5350m) or Kang La that leads you to the sacred Shey Gompa, one of the ancient Buddhist monasteries in Dolpo. 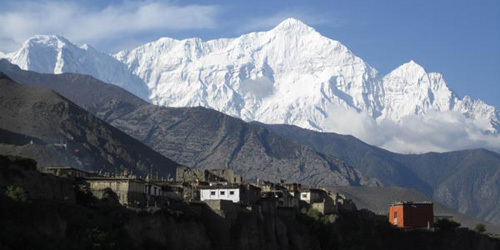 Throughout the trekking journey, you pass a series of high passes which offer extraordinary views of Dhaulagiri and Kanjirowa ranges along with Crystal Mountain and many other mountain ranges. Dolpo is equally rich in culture, as it has been considered as the last reserve of pure Tibetan culture left in the world. The area is less populated and is inhabited by the Tibetan community called drokpas, who still practice the pre-Buddhist Bon Po religion. The trek passes through many Tibetan villages of Saldang, Khomagaon, Shimen, Tinkyu Mendo, Sangda, Chharka Bhot, and so on which provide you an opportunity to learn and understand the Tibetan culture, tradition, and lifestyle. Traversing across Sangla La (5120m), the trail reaches the Valley of Kali Gandaki River, taking you to Jomsom in Mustang. Unlike many other treks, the trekking route to Upper Dolpo is uncharted and tough which provides trekkers an unprecedented adventure. 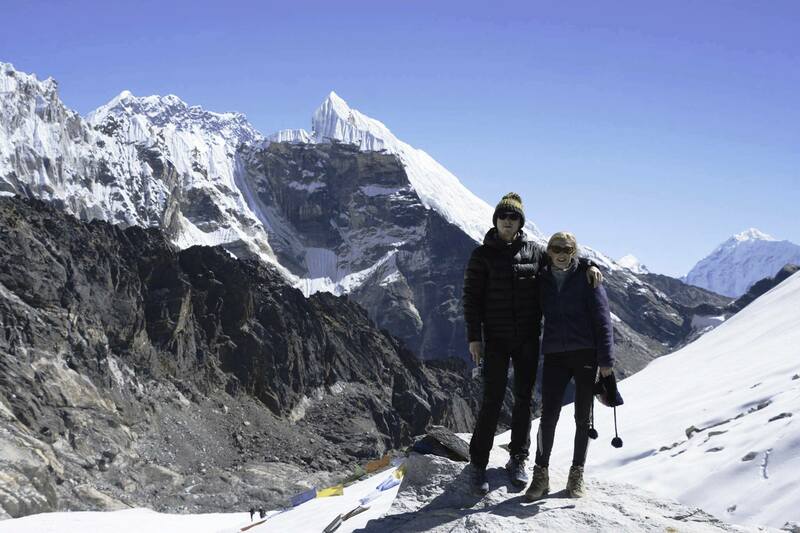 Day 12: Trek from Nagdalo Base Camp to Shey Gompa (4375m). Day 15: Walk from Namgung to Saldang (3980m). * 5 nights deluxe accommodation in twin bed sharing basis with breakfast at 3* hotel in Kathmandu and Nepalgunj. 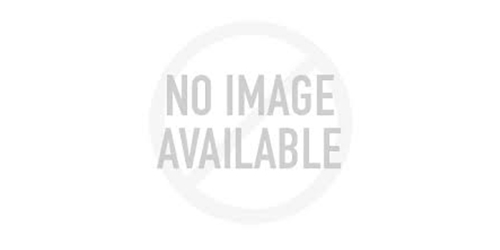 * All domestic flight tickets and airport tax. * Trekking camping equipments (Tent, mattress, dining tent, kitchen tent, toilet tent, kitchen utensils etc.). Note: The conditions stated on itinerary are for the visitors who prefer full package programme. Based on your interest, we also serve you customized packages. The itineraries can be customized according to the length of your stay and financial procurement. If you have any questions do not hesitate to contact us: info@panoramatrekking.com.